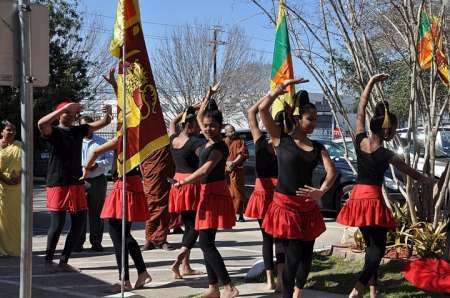 Sri Lankan Americans in Houston celebrated Sri Lanka’s 63rd Independence Day on February 12, 2011 at the Houston Buddhist Vihara under the patronage of His Excellency Ambassador Jaliya Wickramasuriya & Mrs. Wickramasuriya. 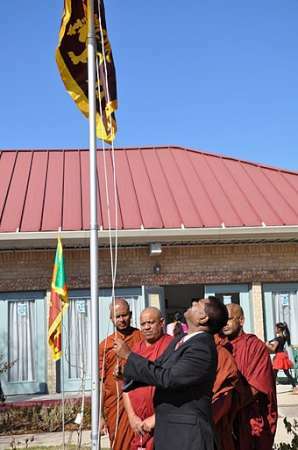 The ambassador hoisted the Sri Lankan flag while the Sri Lankan and American national anthems were sung by a group of children under the direction of Ms. Anula Dissanayake. 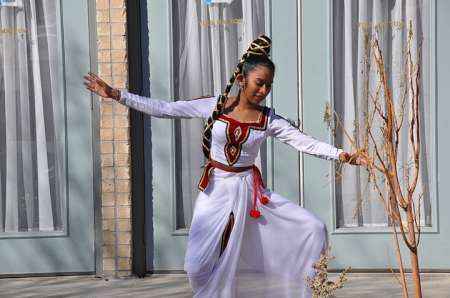 The day’s program included performances by Sri Lankan children from the Houston area, as well as traditional Sri Lankan dances representing the Sinhalese and Tamil communities performed by Chathuri Wimalaratne and Yarlini Vipulanandan respectively. Ambassador and Mrs. Wickramasuriya were greeted by a troupe of young dancers directed by Ms. Ritani Ratnapala, who conducts traditional dance classes in Houston. Vishmi Abeygunarathne spoke in Sinhala about the significance of the 63rd Independence Day celebration. 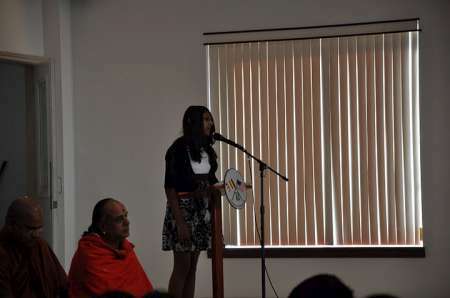 Thulasi Thiviyanagam gave a similar speech in Tamil, and Anuki Wijeratne spoke in English. Thus, all the major languages of Sri Lanka were represented. Dr. Bandula Wijay spoke on behalf of the Sri Lankans in Houston. 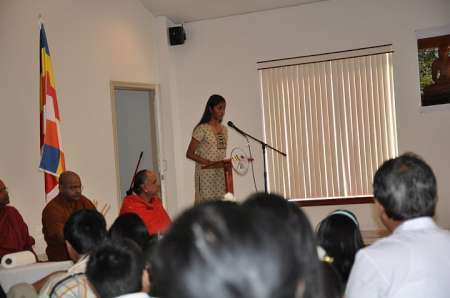 The speakers were followed by patriotic songs sung by a group of young children trained by Dr. Suren Lewkebandara. The evening’s final events were a quiz contest where children enthusiastically answered questions about Sri Lanka – which proved popular with the audience — and a poster contest. 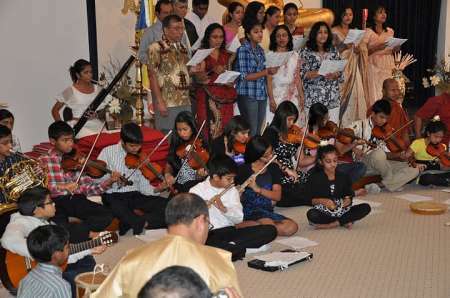 The ambassador praised both events, suggesting that other Sri Lankan communities in the U.S., include them in future activities. Mrs. Wickramasuriya presented awards to the winners. The program closed with a vote of thanks from Nalin Perera, chairman of the organizing committee. 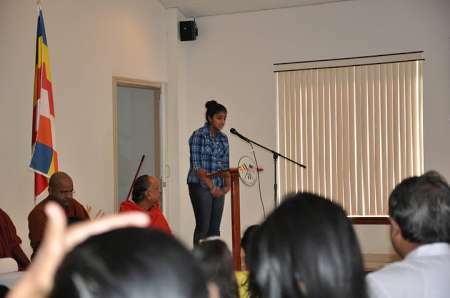 The program was conducted by Rukshan Wijeratne.